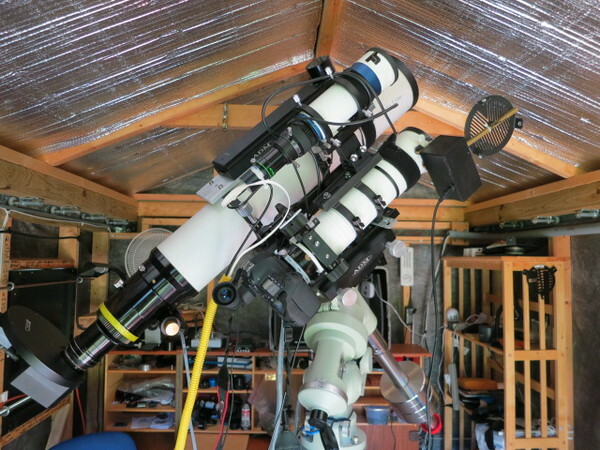 Telescope Service 130mm f7 (@f5.6) Photoline APO with Moravian G2-8300 CCD camera and Baader filters. Teleskop Service Imaging Star 71 @f5 with Canon 6d and remotely operated Bahtinov Mask. Teleskop Service TS60 guide scope with Lodestar guide camera.